As some of you may know, Belinda has battled chronic kidney disease for most of her life, having been born with one horseshoe shaped kidney. After multiple surgeries at age three she is now in end-stage renal disease. Belinda has been told that her only chance for a healthy life is to have a kidney transplant. You may know Belinda as a friend growing up in Tulsa, going to Edison Preparatory High School or while attending The University of Tulsa. Perhaps you remember her as the “softball and orchestra” mom, or as a wife and former business owner. Or you may know Belinda from attending Temple Israel for over 30 years or perhaps from reciting her name for the past four years during the Me Shebeirach healing prayer for the ill. I hoped to be Belinda’s living donor but that was not an option. We are now exploring transplantation at other transplant centers. Even with insurance, there will be many uninsured transplant-related expenses such as: co-pays and deductibles, doctor visits, travel and temporary relocation in addition to the immunosuppressant medications that Belinda will need for the rest of her life. This is a financial burden that Belinda and I cannot handle alone. 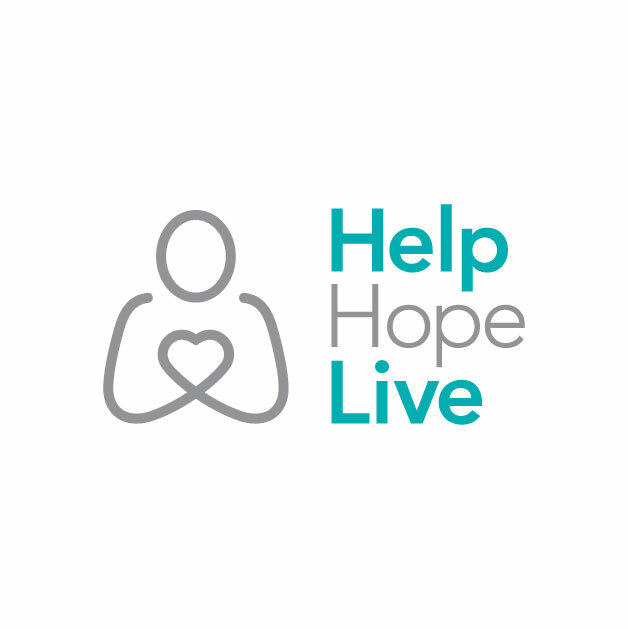 To help with the financial burden of Belinda’s uninsured expenses, a fundraising campaign in her honor has been established with HelpHOPElive, a trusted non-profit organization that has been providing community based fundraising guidance to patients and their families for more than 30 years. All donations are tax-deductible, and are held by HelpHOPELive in the South-Central Kidney Transplant Fund, and are administered by HelpHOPELive for transplant related expenses only. Please consider a making a tax-deductible contribution today by clicking the DONATE NOW button. On behalf of Belinda and our family, I thank you in advance for your kind consideration, prayers, support and generosity. I want you to meet Claudia Smith, my “angel”. August 21, will be my 7 month Kidney Transplant anniversary thanks to Claudia. We were best friends from elementary school through high school. She recalls me saying to her in 3rd grade in the cafeteria, “Someday I will need a kidney transplant.” She said she was in awe and asked God to pray for me and never forgot about that moment. After high school graduation we lost track of one another and reunited 36 years later. “Our Story” is very special, long story this is the abbreviated as it can be version: I had been proceeding with a hospital in Texas, due to insurance mandates. I had posted a link earlier. Claudia and I were “friends” and unbeknownst to me she followed the link I had posted earlier but got no response, because my Creatine Clearance was 2 points too high and I was not on the UNOS list for kidney transplant. We drove to Texas to complete final testing. High fives were exchanged, and we were told couldn’t have been more perfect if we were identical twins… that was until his Creatine Clearance came in 1 just 1 point too high. That excluded Tim immediately from becoming my donor or anyone else’s. On our tearful journey back home I posted to social media. Tim and I pursued Integris Baptist Nazudhi Transplant Center in Oklahoma City, Oklahoma. We felt like this is where we were supposed to be, we felt at home. That day did come when Claudia called and said: “Hi, do you remember me?” I am your match (she had been undergoing tests and determined to be a match in Texas). We had a lot of catching up, as we hadn’t talked in 36 years, so our first conversation was 6 1/2 hours long. I then had to tell her Tim and I decided to go to Integris. I asked if she would consider this, and gave her the contact information. She called Integris and then me and said: “Of course!” Can you imagine, I had no idea she was testing. I had a few friends that told me they had tested but were ruled out with illness’s they never knew they had. Due to the privacy laws, I didn’t know Claudia had been intent on becoming my donor. Claudia had a few obstacles to overcome. She had hip issues and needed to lose just a bit of weight. She went to her Orthopedic doctor who wanted to give her steroid injections. She had presence of mind to pause and called Integris, and they said it could compromise her function. Claudia never wavered, she sought out a Naturopath Chiropractor, who got her hips moving to lose the weight. We met for the 1st time in 36 years when she went for final testing in Oklahoma City, September 2015. I was her cheerleader, not just for me but because she was so much healthier…. Then we had to wait for committee to “officially” accept her. They had told her we wouldn’t have brought you here, if we thought you weren’t a good match. She once again came to the rescue, stating I needed it to happen before year’s end. Normally they don’t transplant so close to Christmas, but through prayers, faith the date was set: December 21, 2015. WE WERE GOING TO DO THIS!!! Now, you know why I call her “my angel”, she never faltered, her unwavering support, our faith and a great deal of prayer, made this miracle happen. We IM daily, we’ve visited each other, and I can say I have my best friend back in my life. I believe, and I hope this inspires others to do so…. One month ago today, I received the “Gift Of Life” from Claudia Buckling Smith. Reunited after thirty-six (36) years. I am slowly progressing, still on what Tim and I call “House Arrest”-House Rest, as I am not allowed to go anywhere. In time, this will change. I am just so very thankful to be able to usher in 2016. Thank you a million times over to all, that offered and continue to offer prayers. I am also so very grateful to my “Angel”, Claudia, for the”gift” of life. Words just don’t cover how blessed I feel. We are overjoyed to share the news that on December 21, Belinda received the gift of life, a new kidney, from her childhood best friend and is improving daily! We are hoping to be back in Tulsa on New Year’s Eve. Thanks to a selfless gift of live kidney donation and to incredible medical professionals, Belinda is on the way back to health. However, she still needs our help because of the very expensive anti-rejections medications. I’ve been accepted to Integris in Oklahoma City! Yeah! I am so excited, as this is initially this where we wanted to go, but due to initial insurance constraints, we were not able to choose Integris! They are wonderful and I have met my nephrologist and the transplant surgeon. So, everyone things are slowly progressing. The possibility of my having a live kidney donor for my transplant did not pan out, still hopeful that I will not have to wait 4-8 years. I am working and almost finished on two Pet Portraits, they are awesome and have been fun to paint. Just a reminder, I will paint your pet, taken from a photo and you can donate to my campaign and get a tax deduction! Dear Belinda, It is a blessing to be part of your journey to wellness. I am so thankful for all the good reports from Integris! Keep taking good care of yourself, we're lifer's! Praying for strength and healing for you. Praying for you Belinda. You know we live in Fort Worth, so if your journey brings you here, we have a guest room you or your husband can certainly use. Hugs! Belinda, I'm so sorry to hear. I hope everything turns out well for you and your loved ones.